Trigger warnings: Suicide attempt, self-harm. I have to start out by saying I’m probably in the minority about my rating on this one but I will explain why. Lincoln and Jace have been friends since they were kids, spending summers together at their family’s cabins by the lake. They were best friends who, at age 15, realized they could be something more. And so they were best friends and boyfriends, eagerly awaiting the time they could be together all the time and not just in the summer. As they approached time to go to college, they made promises to each other and planned their future. The problem is, Lincoln didn’t keep those promises, instead ghosting Jace after a night spent together and never contacting him again. No note, no communication until Lincoln’s band makes it big with a song, Cherry Hill, written by Lincoln about his love affair with Jace, putting it out for the world. Brutal. Providentially, Jace, an epidemiologist, has also decided to spend some vacation time at his parents’ cabin by the lake. The two run into each other at the grocery story for the first time in ten painful years and it made sense to me that Jace was angry. Ten years you’ve suffered because the love of your life just disappeared, never to contact you again, making money off the song of your pain, until an accidental meeting. The blurb talks about Jace hating him but I just felt like Jace gave into Linc a little too easily. He had the advice from his awesome brother, Joel, and his best friend, Wyatt, to use this time to get closure on Linc but he almost immediately starts hanging out with Linc and then sleeping with him. He doesn’t give his trust easily but them even hanging out and sleeping together just seemed too quick for someone who’s life was nearly destroyed by the pain of his love leaving. The story is told in alternating first person point of view, so we get the insights of both Lincoln and Jace. This was so helpful in really connecting with the characters and as a reader I appreciated getting the thought processes they had going on. This is an emotional story with some heavy baggage on Lincoln’s side particularly and some incredibly difficult feelings for them to work through. When they play video games, loser has to tell a truth, it was the start, really. “You didn’t have a problem with that first one. I mean, Jesus, Linc, you talk about the first time we…” Jace shakes his head and clenches his jaw. Definitely, since not only did Linc ghost Jace but had to hear one of the most popular songs of the time (and one that is still played). Linc is very apologetic throughout, waiting for Jace to be ready to listen to him explain and mean the apology. To show that a second chance will bring a much different result. I did hate that through it Jace kept feeling bad. As he said, “I didn’t break this, you don’t. You don’t get to make me feel bad about not wanting to pick up where we left off.” But still, he kept feeling bad. They do fall into bed together, “…a little fun… for old time’s sake”and Linc has such happy memories of their times at the cabin. Jace, however, “Funny, I can only remember the morning I woke up all alone in that bed, all of your things packed and gone. You didn’t even have the courtesy to leave me a note.” Linc acts surprised, or maybe hurt that’s what Jace remembers. I wanted to shake him and say, what did you think! “The sad thing is those are all my happy memories, too. But you ruined it, Linc. You took every good thing inside me, and you stomped all over it, then tossed it away like it never meant anything to you.” I can’t even imagine the depth of pain he has been feeling for ten years. Linc has felt it as well, but at least he knows the reason. The thing that was done extraordinarily well here was Linc’s depression. The darkness that encompasses him was real and his reactions were also real. His way of coping with the pain of his life and the darkness is to self harm, a mechanism he’s been using since his teen years. His father was a verbally abusive nightmare and cutting was a way for Linc to control that pain. “Do you have any idea how happy I was to have a son when you were born? And then you turned out to be the world’s biggest disappointment. You’re weak. Boys don’t cry, you f**king queer” is just the tip of the iceberg. The cutting scenes are realistic and we get Lincoln’s feelings, or maybe lack of feeling is the better way to put it, during those times. I especially appreciated that there was no magic cure here. Having Jace by him made Linc happy and hopeful but when the depression set in, it still set in. Because serious depression isn’t that simple and this was so realistic. I couldn’t help worry for Jace as Lincoln deals with what he thinks is rejection by cutting more. That’s a lot to put on someone. I was glad when Jace declared his deal-breaker. The whole thing is a second chance work in progress and it is not an easy one. There are Side B chapters (flashbacks to when they were teenagers) to give some background of the intensity of their relationship and while I am not usually a fan of flashbacks, they definitely worked here. They were so cute and so sweet as teens, it just made the whole separation more painful. When Linc remembers things he planned and promised at that time, as the perfect Christmas that never happened, I kept thinking, please let the reason for leaving be a good one, something we can forgive him for. For me, the reason didn’t work and that kept this from being five stars. I dislike that kind of thing and Jace deserved at least a conversation. But it wasn’t annoying enough to take away from the powerful aspect of this book. The author has set up the next books in the series with the other band members, Benji, Lando and Jude, in a way that wasn’t clunky or obvious, just a really nice teaser as to things coming next. Even Linc doesn’t know what has happened yet! This vacation was good for everyone, it seems. This is a great start to a new series. Not light and fluffy (although I am hoping at least one of their stories will be) but definitely worth the read. Cover art by Inked Design fit the feel of the book. The cover boy is a decent representation of Lincoln, tattooed and a little brooding, with the city and the lake as a backdrop. This entry was posted in Uncategorized and tagged A Lucy Recommended Story, A Lucy Review: Face the Music (Replay #1) by K.M. Neuhold, author K.M. Neuhold, Face the Music (Replay #1) by K.M. Neuhold, Replay series by K.M. Neuhold, self-harm, suicide attempt. He can’t fathom that Cameron could be interested in a young, poor omega like him, but when he’s asked to move into Cameron’s penthouse condo, he can’t turn down the chance to live out some of his dreams. His Wildest Dream is a Cinderfella-style romance of 46k words. It includes a May/December relationship between a sweet, virgin omega from a poor part of town and a reclusive billionaire single dad, and is served up with a big side of kink. It is a very sweet, incredibly hot mpreg romance with kids, babies, a lavish wedding, and a super-HEA that will have you smiling from ear to ear. I chose to review His Wildest Dream cause it was some time I hadn’t read a male-preg story and I wanted to give this new release and its new to me author a chance. The blurb sounded interesting and all the premises were there for me to enjoy it. Male-preg, MCs with an age difference, one of them widower and with a little daughter. It seemed perfect. I found the novel well written, easy to read and clear, quick and lovely. I liked the plot and the feelings I got from the characters. Both Daniel and Cameron (but the second characters too) were positive persons, even if they went through a lot of hurt in their pasts: the first was thrown out from his parents and lived on the streets until he met some of his actual friends; the second with the lost of his omega and father of his daughter after a car accident. Nonthless there was really no space in the story for sad moments or bitterness, just love, laughs and smiles. I have to say I preferred the first half of the book, I’m a lover of sweet romances but from a certain point onwards there was too much sugar and less realness, it was just a little too much perfect and easy to be real. I’m not talking about the male-preg part, of course, but about the dinamics of a new family like the one Cameron and Daniel are creating. I needed a couple of flaws or just a little duscussion at least. That’s the only reason I didn’t give the novel an higher rating. Although His Wildest Dream is part of the Portville Omegaverse series, it works as a standalone, I haven’t read the previous two books and I had no problems with this third installment. I met the MCs of the other stories but they didn’t take space from Daniel and Cameron’s romance. The cover is sweet and clean. I like it. This entry was posted in Book Reviews, Books, eBooks, LGBTQ Book Reviews, M/M Book Reviews, M/M Paranormal Fiction, M/M Romance, M/M Supernatural Fiction and tagged #omegaverse, A Stella Review: His Wildest Dream (Portville Omegaverse #3) by Xander Collins, Author: Xander Collins, His Wildest Dream (Portville Omegaverse #3) by Xander Collins, mpreg, Portville Omegaverse universe series. While there was quite a twist and turn that I didn’t expect in this story it was enjoyable. Mike can’t help but feel that something is wrong with him that causes him to not have lasting relationships. Though the spell doesn’t do what he expects it eventually gives him the answer he needs. Mike is self-conscious but at the same time you see him have trouble with listening to others thoughts or problems. I don’t want to give anything away but when the results of the spell really start to throw a wrench in things you see him really see how he acts. Mike and his sister both gain more family and acceptance through this story. The cover art by Aisha Akeju is nice if not typical of many romance novels. This entry was posted in Book Reviews, Books, eBooks, Less Than Three Press, LGBTQ Book Reviews, M/M Book Reviews, M/M Fiction, M/M Paranormal Fiction, M/M Romance, M/M Supernatural Fiction and tagged An Alisa Recommended Novel, An Alisa Review: Under Five by Michael War, author Michael War, Under Five by Michael War. Scattered Thoughts and Rogue Words is happy to host Alan Chin here today on tour for his latest novel, Surviving Immortality. Welcome, Alan. Thanks for sitting in our author’s interview chair today. All my characters come from aspects of my multifaceted personality. I pick and choose different characteristics based on the needs of the plot, but they all come from somewhere inside that gray area I call me. It’s one of the things I love about writing; I’m forced to explore different facets of myself. Not entirely sure what you’re asking here. I feel that the only way to create a multidimensional, realistic character is to use my own life experiences to define the parameter of feelings and emotions and actions a character will encounter. My own life defines the only guidelines I have to create. Fortunately, I’ve had countless experiences over the last sixty-plus years to draw from and my memory is still sharp enough to recall them. An old friend of mine, Victor Banis, once said he believed that I didn’t choose my stories, my stories choose me. I believe that is true of genre as well. Generally, story ideas knock about my head for years before I finally put pen to paper to scratch out some notes. During that phase I don’t give any thought to which genre to use. For example, Surviving Immortality started with a question of which is more destructive, man’s greed or his lust for violence, and what happens when you pit those two traits against each other? That premise rattled around my brain for three years before I was ready to get serious about it. It grew in scope and intensity until I had a breakthrough moment of inspiration of how to present it. At first, I had no idea there would be a love interest for the protagonist, let alone where he would end up. I was too engrossed in staging the theme. I seldom research ideas until I’m ready to start outlining. Once I’m into a story, I enjoy the hell out of digging deep to find the most interesting tidbits for the telling of the story. And I like to keep my stories as factual as possible, even in a fictional world. Once I’m absorbed in a story, information flies at me from all directions and from totally surprising places. It’s part of the fun of writing. No. As a child and young adult, I hated reading. I didn’t take up reading until I was in my twenties, and I didn’t start writing until my fortieth year. I was a late start, but reading and writing grew into a love affair between me and books of all genres. Early on, I read general fiction almost exclusively. I started with the old masters. Lately, I’ve been reading mostly non-fiction and biographies. For the last few months I’ve been immersed in the French Revolution and Napoléon Bonaparte. A fascinating time and man. Once I get hooked on the story and feel connections with the characters, nothing short of nuclear annihilation can keep me from working on it. Even when I’m not at my keyboard or writing notes, I’m always thinking about the story, examining, refining. I can’t wait to climb out of bed in the mornings to get started, usually before sunup. I’m afraid it’s become an overly obsessive passion. With Surviving Immortality, it took me over a year to write the first longwinded draft. It took another year to edit it down into something I’m exceedingly proud of. In those two years, there were only a handful of days that I didn’t work on it in one way or another. I do suffer emotional ties with my characters and sometimes that feels painful. But I also experience their joys and their confusion and a whole range of emotions I don’t experience in my non-writing life. And isn’t that why we read? To experience that wide range of feelings and ideas? I like whatever the plot dictates. What’s important, for me at least, is for the reader to experience emotional satisfaction. There is nothing more gratifying than coming to the end of a story and knowing why it ended the way it did, but also knowing that the ending fit, that it was, emotionally and intellectually, the most suitable outcome. As an adult, oh yes. Romance adds spice to any story. And for me, when it comes to spices, the hotter the better. Romance can make fools or heroes out of the most stable men and women. It adds pressure to any situation and gives us a truer idea of the character’s makeup. Nothing exposes a character’s internal being better than how he/she treats their love interest. There are so many. Colm Toibin and Marguerite Duras for their beautiful prose. Truman Capote for his vivid characters. Christopher Isherwood, Michael Cunningham and Evelyn Waugh for everything. I’m also a fan of Michael Crichton for his solidly entertaining storytelling. And of course, Annie Proulx for her brilliant short stories. We are so lucky to live in a time where we have so many masters to choose from. You’d have to shoot me to pry my Kindle from my grip. I love it, especially when I travel. I generally travel three months at a time, and up to six months each year. Before ebooks, I loaded my luggage down with a dozen or more books. It was always a fight with my husband, who likes to travel as lightly as possible. Now I take hundreds of books, all on my Kindle. I love it and so does Herman. Also, I’m getting older (I signed up for Medicare last month), and the larger print really helps. As much as I love hardbacks, ebooks are here to stay and I’m good with that. My publisher, Dreamspinner Publications, has a brilliant staff of artists. We exchange several emails delving into the stories characters, plot, themes, and they present me with several options. I’ve always been blown away by their talent to express ideas in images. With Surviving Immortality, we agreed it was important to show a protagonist with the weight of the world on his shoulders, for indeed, the future of mankind pivots on his decisions. The first time I saw this cover, I knew they had nailed it. The whole universe is pressing down on him. I love it. My favorite is always the book I’m currently writing. In fact, I get so engrossed in my current work, that I have a hard time remembering the details of my previous stories. Over the years my stories and characters have become more complex, and hence, more interesting, at least to me. I also feel that with each passing year, I become a better writer. It’s not what you write, it’s how you write it, and I feel I keep improving with each book. I think there is a danger in making a character so complex that the reader will have problems relating to him or her. It’s great to give characters faults, but not just for the hell of it. A faulty trait is there for a good reason. It needs to be a vehicle that relates to the plot, and something the character can overcome or take advantage of in order to complete his or her arc. Loyalty. E.M. Forster once said: “If I had to choose between betraying my country and betraying my friend, I hope I should have the guts to betray my country.” This, I believe goes to the heart of the protagonists I try to create, and it’s a trait my antagonists seldom display. I’ve always regarded loyalty to friends and loved ones as going beyond admirable to heroic. It represents the best qualities of mankind. I’m drawn to people who, like me, are outsiders—people who don’t really fit in. These characters are varied: some don’t fit in because of sheer defiance, some because they are terrified of society, some are simply scandalous. There are some, like the protagonist in Surviving Immortality, who have such a high degree of integrity that they don’t fit in anywhere in a world tainted by corruption. Because outsiders are on the fringe of society looking in, they tend to have a much different viewpoint from the norm. They often see things more clearly. All my protagonists are outsiders, hence abnormal, sometimes painfully so. Fish out of water. For me, it’s what makes them interesting. No. As I said earlier, stories knock about my head for years. I don’t begin to write them until I’m so excited about them that I absolutely must write them. By then, there is no stopping until it’s complete. I’m constantly dealing with my real-life issues in my work. I’ve always assumed that all writers do that. I won’t describe the scene because it is the crisis/conclusion of Surviving Immortality, and I don’t want to spoil the ending for anyone who chooses to read it. But trust me, it is one of the most chilling and exciting and heartbreaking and uplifting scene’s I’ve ever written. It’s a scene that may very well haunt a reader for a good long while. It did me. Writing is hard work for me. So I tend to write early in the morning when I’m fresh and alert. I generally start writing at sunup and often work until lunchtime. That’s a little early for me to be drinking. <smile> However, many times I’ve had to work while suffering a horrific hangover, which is no fun at all. These days, I still like my glass or two of wine around dinnertime, but I’ve given up on the hard stuff. When you reach your mid-sixties, you’ll know doubt understand why. I’ve travel to over sixty countries over the last twenty-five years, and I write most days when I travel. In all those places I’ve not once found a writing environment more suitable than my own office at home. Here in my workspace, I’m surrounded by the books I love and the quiet I need to concentrate. And even more important, my next cup of coffee is just down the hallway. When it comes to a work environment, for me, less is better. I need quiet and internet access. And coffee, gallons of it, but that goes without saying. I write to first help me understand the world I live in, both my internal gray matter and the external world, and then to present my reaction to those two worlds. And yes, there is a lot going on. Surviving Immortality tackles, among other topics, the epidemic of gun violence in America, the buildup of weapons of mass destruction, and the issues that lead our politicians into corruption. It’s a very topical love story. I don’t think there has ever been a better time to write. We have such a rich tapestry of culture to draw from. For the next several months I’ll be promoting my new release, Surviving Immortality. About a month ago I completed the first draft of my next novel. I’m currently in editing mode on that project, and I suspect that will continue for the rest of the year. Not sure what 2019 will bring, but this year will be busy with those two projects. This story is purely fictional and not based on real people or true events. This is the story of the fountain of youth. When Kenji Hiroshige discovers a formula that will keep people youthful and healthy for several thousand years, he tells the world he will not divulge his secret until every gun, tank, battleship, and bomb hasbeen destroyed. When the world is free of weapons, everyone can live forever. And then he goes into hiding. Before he disappears, his son Matt Reece is exposed to the formula. Kenji takes Matt Reece on the run with him, but as they struggle to elude both government agencies and corporations who will do anything to profit from Kenji’s discovery, Matt Reece learns that world peace might not be his father’s only goal. But what can a young man who’s barely stepped foot off his isolated ranch do in the face of something so sinister? 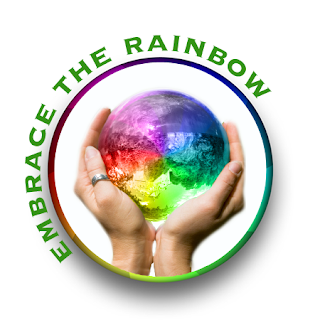 Alan Chin’s books explore spiritual growth through finding the right relationships. While his stories often contain elements of suspense, romance, Eastern religion, and the paranormal, his underlying focus is the power of love. 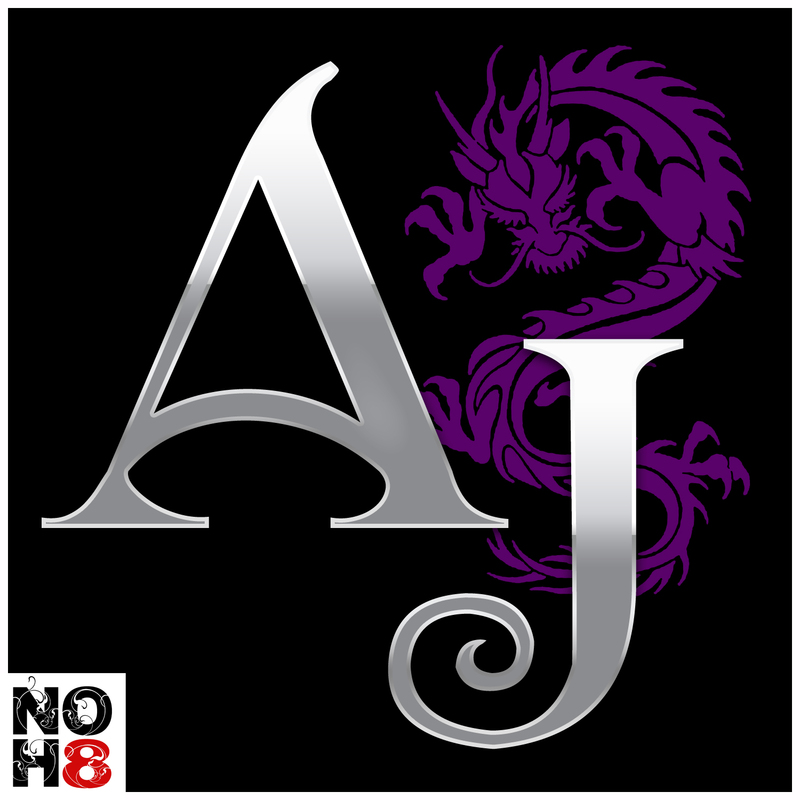 Alan is the author of nine novels, an anthology of short stories, and three screenplays. Alan’s first novel, Island Song, won the 2008 QBliss Excellence in Literature award. His novels, The Lonely War and Match Maker won a total of five Rainbow Literature Awards. His book, The Plain of Bitter Honey is a 2014 ForeWord Reviews Book of the Year finalist in the Science Fiction category. Alan lives and writes half of each year at his home in Southern California, and spends the other half of each year traveling the globe with his husband, Herman Chin. This entry was posted in Book Reviews, Books, eBooks, LGBTQ Book Reviews, M/M Book Reviews, M/M Fiction, M/M Romance, Science Fiction, Uncategorized and tagged author Alan Chin, Dreamspinner Press author blog tour, DSP Publications, gay fiction, LGBT Science Fiction, m/m science fiction, Surviving Immortality by Alan Chin. Scattered Thoughts and Rogue Words is happy to host Charlie Cochrane here today talking about her new collection of stories, Pack Up Your Troubles. Welcome, Charlie! My interest in World War One – and more specifically, the service men and women whose lives and deaths were intertwined with the conflict – goes back to school days. The war poetry of Wilfred Owen was part of the syllabus for English secondary schools (it still is) and it really got to me. The power in the words was stunning and the sad, almost romantic story of a poet who died within weeks of the war ended was enthralling. I’ll admit that I have almost no interest in the details of the action, which regiment fought where and when; it’s the people and their stories that continue to fascinate me. Hallowed Ground is much less intense in style, if no less serious in subject. It was inspired by the Museum of Army Chaplaincy just outside Amport. I have no idea why I hadn’t come across the place before, because it’s relatively local, to me but as soon as I found out about it I made an appointment to visit (you have to make an appointment because it’s on army land.) I spent a lovely hour there, having a private tour from the curator. Not long afterwards the words for Hallowed Ground just started to flow, as though my sub-conscious had been crafting the tale all the time. The story ends with the promise of a happy ending to come, even if that isn’t outworked in this tale: the two characters reappear as minor players in Lessons in Loving thy Murderous Neighbour. The third story in Pack up Your Troubles is the joker in the pack. I’ve amalgamated my interest in the war poetry of one hundred years ago with my interest in modern war poetry (check out the work of Danny Martin) to create the two leading characters. So how can a WWI soldier and a modern one be thrown together? When they’ve both died in combat and are sent back to earth to be part of terrestrial special opps. It was fun to play with the boundaries between this life and the next, and even more so to explore the tension between obeying orders and being true to one’s heart. True love wins in the end, of course, but the path is a tricky one to tread. Pack up Your Troubles features three stories of love – won, lost and regained – against a backdrop of war. An officer thinks he finds love in the trenches, but is it really waiting for him on the home front? A doctor and an army chaplain spend the night in a foxhole and discover there’s hope even in the darkest situations. And an old soldier discovers that there are romantic problems to solve even after you’ve cashed in your chips. 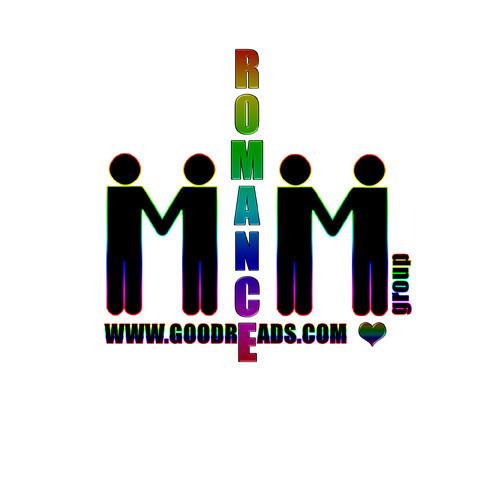 This entry was posted in Book Reviews, Books, eBooks, Historical, LGBTQ Book Reviews, M/M Book Reviews, M/M Fiction, M/M Paranormal Fiction, M/M Romance and tagged @charliecochrane #newbookreleases #PackUpYourTroubles, author Charlie Cochrane, Pack Up Your Troubles by Charlie Cochrane, story collection, Williams & Whiting. 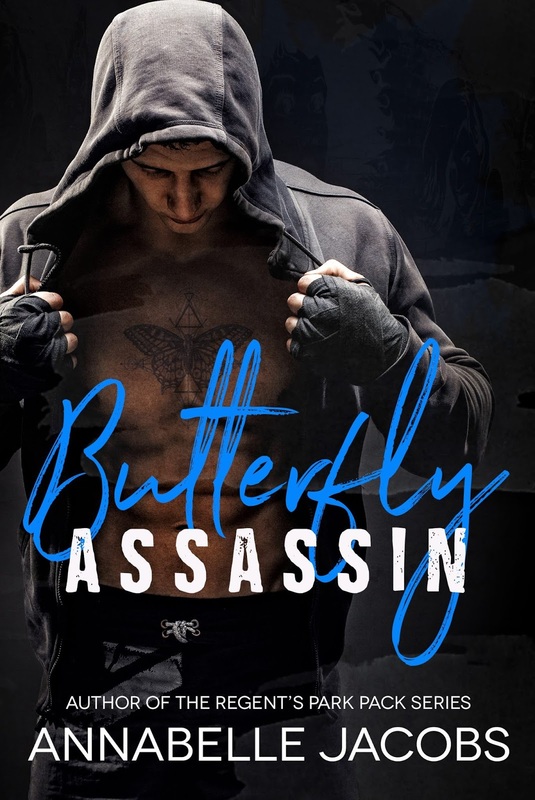 This entry was posted in Book Giveaways, Book Reviews, Book Tours and Contests, Books, eBooks, LGBTQ Book Reviews, M/M Book Reviews, M/M Fiction, M/M Paranormal Fiction, M/M Romance, M/M Supernatural Fiction, Shifters, Weres, Uncategorized and tagged @AJacobs_fiction #newbookrelease #ButterflyAssassin #giveawau, author Annabella Jacobs, Butterfly Assassin by Annabelle Jacobs, Signal Boost Promotions.